If you are a road runner of any distance looking for minimalist running shoes that deliver a soft, smooth, more plush ride, the TadeEVO‘s will surely provide the comfy ride you seek! 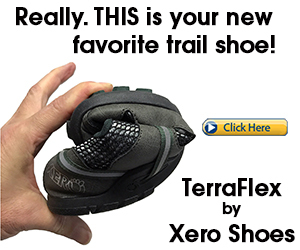 Despite the pillowy-soft underfoot-feel, the TadeEVO still produces strong barefoot-effects and ground-feedback that will definitely excite the minimalist crowd as the shoe’s ergonomic fit and feel encourages a more barefoot-like running stride, resulting in less overloading on the ankle, knees and hips as compared with heel strike running. Not only are the TadeEVO’s ideal for races of all distances on the roads and fast workouts on the track, there’s a long-list of functional benefits to the shoe! For example, the TadeEVO’s low-drop design and ground-feel clarity switches on movement reflexes that help correct mechanical imbalances, provides better forefoot strike control and stronger stabilizing effects during running, making injuries less of an ongoing worry! In keeping with the minimalist/barefoot movement, the TadeEVO’s construction does what it’s designed to do in giving your feet the access to engage more fully as they’re freer to expand to their natural state. The net effect is your feet develop stronger protections in balance control and movement coordination. Not mention, the TadeEVO’s feathery feel gives an energetic, race-ready vibe that can help you comfortably conquer the roads! Because the shoe sits on a wide platform, the TadeEVOs have the ergonomic geometry that is supportive of better toe-splay! There’s plenty of room in the front for functional toe flexion and expansion which helps keep balance strong and stable during running, walking and hiking. 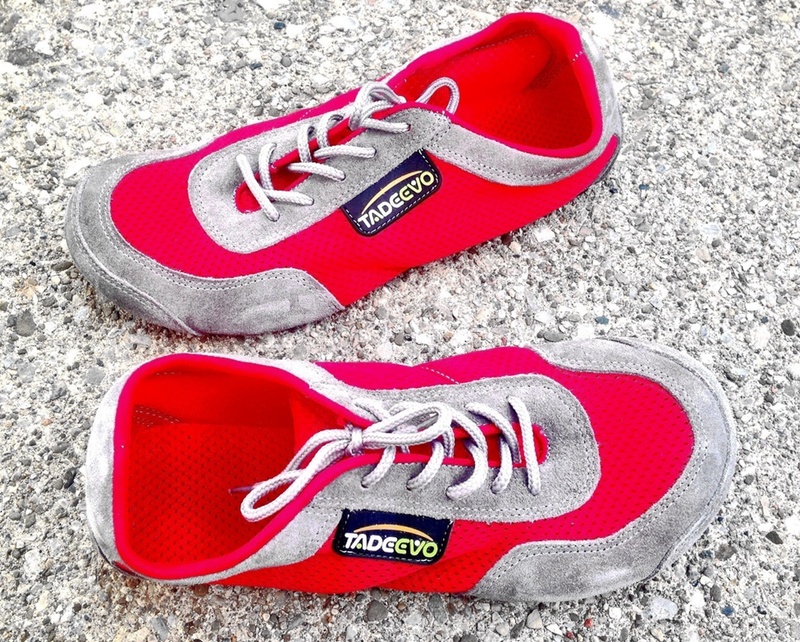 What makes the TadeEVO’s so effective as a minimalist running shoe is that the shoe helps build stronger, more enduring feet by giving your feet freedom to move more functionally. 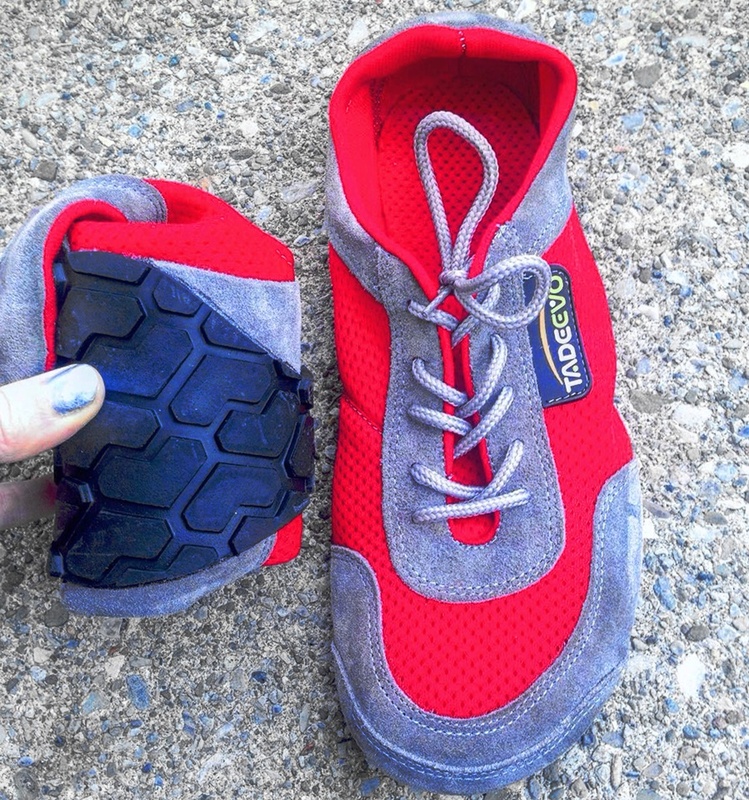 This allows your foot muscles to work independently, encouraging more active efforts of the feet during walking, running and hiking, making foot strength development more fast-evolving. Just as equally important, the TadeEVOs thin sole delivers barefoot-sensations at the feet, making you more aware of your forefoot strike, helping you move away from unbalanced, mechanically reckless running to helping you adapt a forefoot strike running style that’s effective and protective, especially on the knees! In all these ways, the TadeEVO can help you go even further in your training and may lead to more positive outcomes in injury prevention. In addition to looking good as a casual shoe, lets take a closer inspection at the essential features and functional benefits of the TadeEVOs that make it possible for you to run your best! 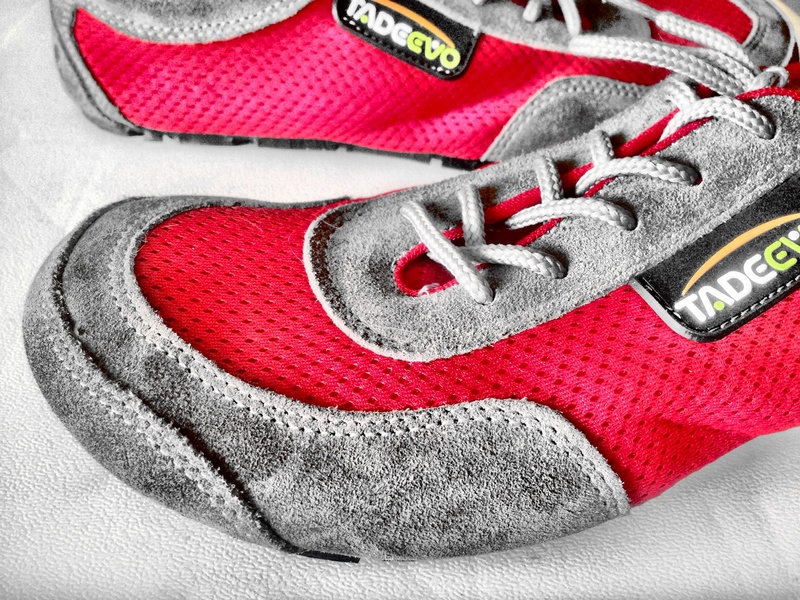 The TadeEVO’s look like they’re made with heavy overlays, but the upper is anything but bulky! 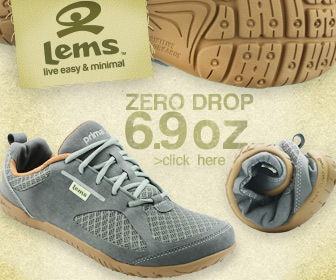 For a low-weight, foot-conforming fit, the upper consists of a breathable, lightweight, moderately thin, but dense, soft closed-mesh with some soft, high-quality velour leather framing for a little extra protection and gives the shoe more sturdy structure. Because the upper isn’t loaded down with foot stabilizing constructs, the TadeEVO’s upper is one of the shoe’s valuably functional features! Every part of the upper works really well with the foot as the foot isn’t tightly constrained or disengaged functionally, rather the entire foot undergoes more widespread functional use, which is where foot strength progress comes from! 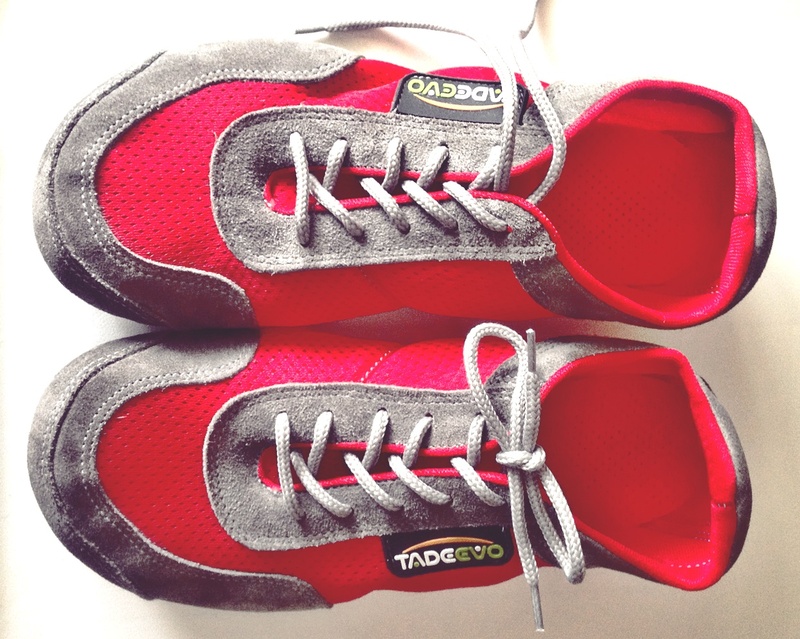 TadeEVO has pretty much received universal praise for its softness and bendiness, especially the upper. The upper materials are softer and flexy than the average minimalist running shoe, enabling the shoe to move more perfectly with your foot. The TadeEVO’s upper is an excellent mix of softness, airiness, protection and functionality as the entire upper flexes in any direction your foot wants to move, making the shoe ideal for agility and speed workouts, and overall results in a more stable ride. The TadeEVO’s upper certain wins on comfort because the shoe feels just like a slipper, fitting consistently snug and soft throughout, while giving a barely there feel. The TadeEVO’s also win on ergonomic fit as the upper is super bendy at any point, giving no inhibition to the movement of our feet. Additionally, the upper is stretchy and adaptable to accommodate your unique foot structure, making for an even more satisfyingly comfortable and reliable ride. Not mention, the light, airy-feel will definitely inject some pep into your stride! Despite its thinness and airiness, the TadeEVO’s upper does an admirable job at keeping the feet warm in cold temperatures and will surely provide the warm ride you seek in dry, wintry weather! I’ve ran the TadeEVO’s in heavy, loosely packed snow and in minor slush, and surprisingly, the closed-mesh upper kept out the snow! The entire shoe feels pretty thermal-protective because my feet were kept warm when I dashed through the snow! I’m also pleased with how well the upper stopped snow entering from the top of the sock! The upper its quite the protective umbrella with its sturdy materials that keeps the feet toasty, while perfectly allowing the feet to flex and expand as needed. Another bonus feature of the TadeEVO is the lightweight, soft velour leather at the front which thermally guards the front of the foot in cooler weather and provides a little extra protection from sharp, pointy debris from stinging your toes! How does the TadeEVO feel inside? Like a soft pillow! The TadeEVO provides a distinct underfoot cushy-softness that you don’t get in most minimalist running shoes. With that said, if you are looking for a softer, smoother, more plush ride for the roads, the TadeEVO fits the bill. The underfoot-feel of the TadeEVO is actually more on the squishy-cushy side of the minimalist spectrum, but isn’t mushy feeling. The underfoot cushioning makes for an extremely soft landing when running on roads, but the pillow-like cushioning does NOT take away from the feel of the ground, thus keeping you consistently perceptually dialed in on your forefoot strike! The shoe delivers plenty of ground-feedback and a strong sensory basis that activates your reflexive senses, giving you more protective means to prevent costly mechanical mistakes during running. In that regard, the TadeEVO is an excellent candidate for runners looking to correct their running form using underfoot sensory support, but don’t want to run barefoot. The TadeEVO is certainly an excellent alternative to barefoot running because the shoe naturally encourages a fast, efficient forefoot strike running stride while providing adequate protection. In addition to feeling feathery (weighing between 5.9 oz to 6.3 oz), inside the TadeEVO gives a slipper-like soft feel thanks to the lining that’s constructed with few inseams to minimize blisters. The TadeEVO feels even more comfortable when paired with thin or thick socks, especially in cold weather! 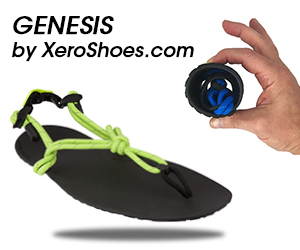 The laces are feather-light, too and simple and does a great job at securely holding the foot in place inside the shoe, preventing in-shoe sliding when you run fast or cut sharp angles. The TadeEVO’s outsole is zero-drop, giving a close-to-the-ground ride and provides a soft underfoot-hugging-fit that’s completely flexible throughout! I was struck by how incredibly soft the sole feels, yet it impressively mimics the effects of being barefoot and is durable to handle running long distances on the pavement. The TadeEVO sits on an ultra-flex 5-mm rubber sole that’s very agile, flexible and soft, yet thin enough to help your feet feel your forefoot strike when you run on any terrain. 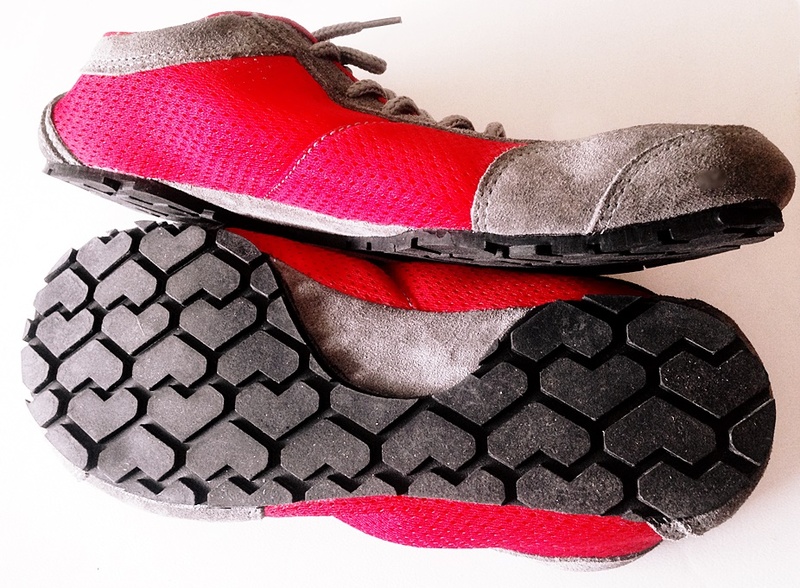 The TadeEVO is well-suited for the streets as the sole’s softness and durability helps smooth out the roughness feeling of harsh, beat up, cracked roads. The TadeEVO’s outsole gives a pillowy-soft ride, while delivering a good amount of sensory input at the feet, helping you build better muscle memory for an effective forefoot strike that’s softer, safer and springier during running! The underfoot softness is even throughout the shoe and overall, delivers a smooth, steady ride that’s free of stiffness, giving you a clunk-free forefoot strike when running. As for traction, the TadeEVO puts enough rubber in contact with the ground to firmly grip snowy surfaces. The toothy lugs does an admirable job at gripping snowy surfaces and the deepened flex grooves gives the shoe more dynamic flexibility, creating a smoother ride on really rough roads. 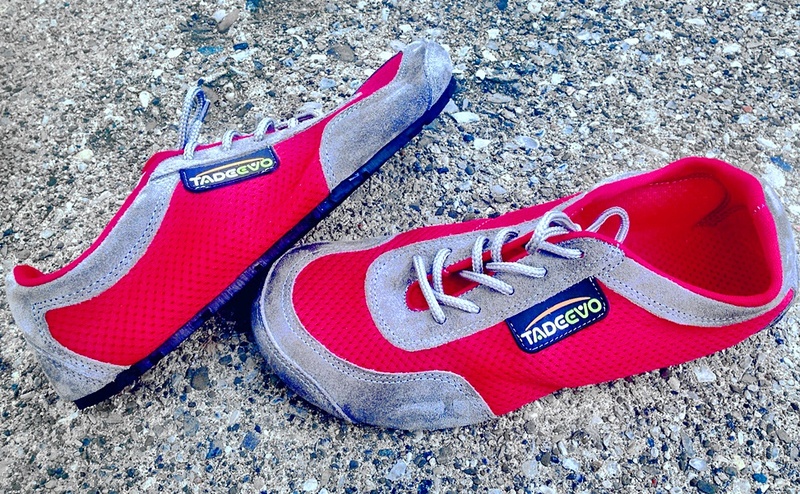 The TadeEVO’s simple-looking outsole definitely acts more rugged than it looks! The soft rubber actually offers robust protection and traction to navigate on tricky terrain, keeping your footsteps strong and sturdy on an even keel when running in the snow. Even more impressive, the sole is an effective layer that provides thermal protection when running in wintry weather, too! Ultimately, by combining reliable traction, good ground-feel and moderate thermal protection, the TadeEVO is quite the capable winter minimalist running shoe that provides a stable landing surface, helping prevent your forefoot strike from getting sloppy when running in sloppy conditions! I can honestly say that the TadeEVO is a solid execution of a true minimalist running shoe because it encompasses all the essential features that makes a minimalist shoe great for improving running stride effectiveness and efficiency. I love that the TadeEVO’s design is completely forefoot strike-embracing during running. Its zero heel-to-toe drop won’t interfere with your forefoot strike running mechanics and redoubles your balance control, so that you can roll along more injury-free! 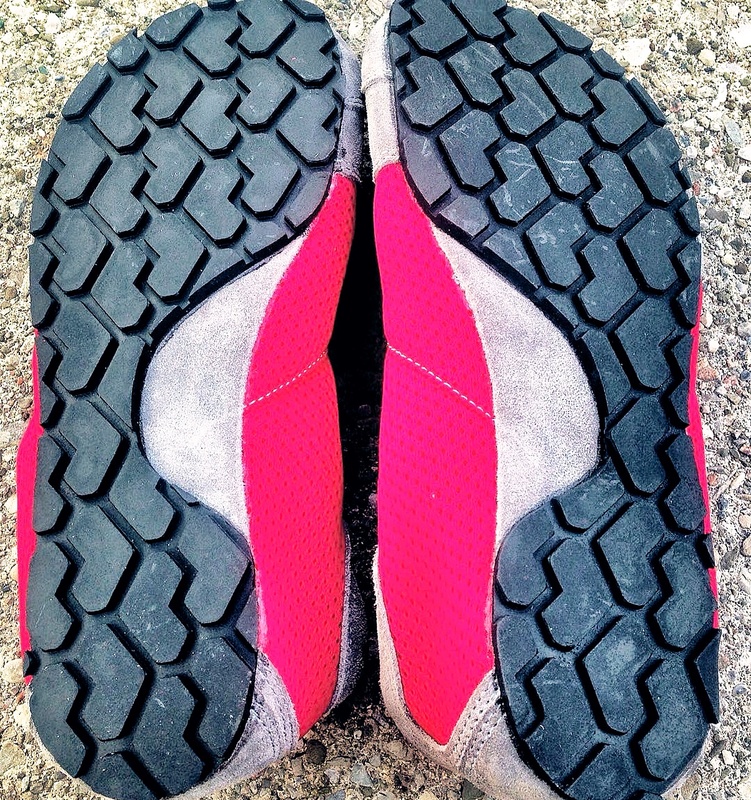 In my opinion, one of the TadeEVO’s most prized assets, aside from providing good ground-feel, is its overall ergonomic geometry which fully ensures the freedom of movement that switches on the foot’s muscles more fully, helping speed things forward in getting your feet stronger in a more functional capacity. 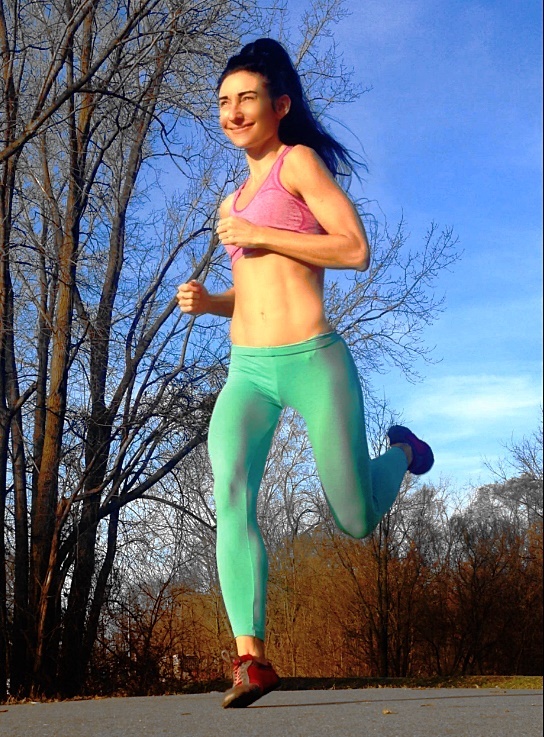 It’s for all these reasons that I recommend the TadeEVO minimalist running shoes for runners looking to ease barefoot running into their routine to develop a more prefect forefoot strike as the shoe encourages you to default to a forefoot strike landing, helping limit impact on the shins, knees and hips. The TadeEVOs are also ideal for the barefooter who wants to wear shoes now and then as the TadeEVOs can help you stay on the course that you’ve begun with barefooting in keeping your feet strong, making your feet a stronger source of stability. 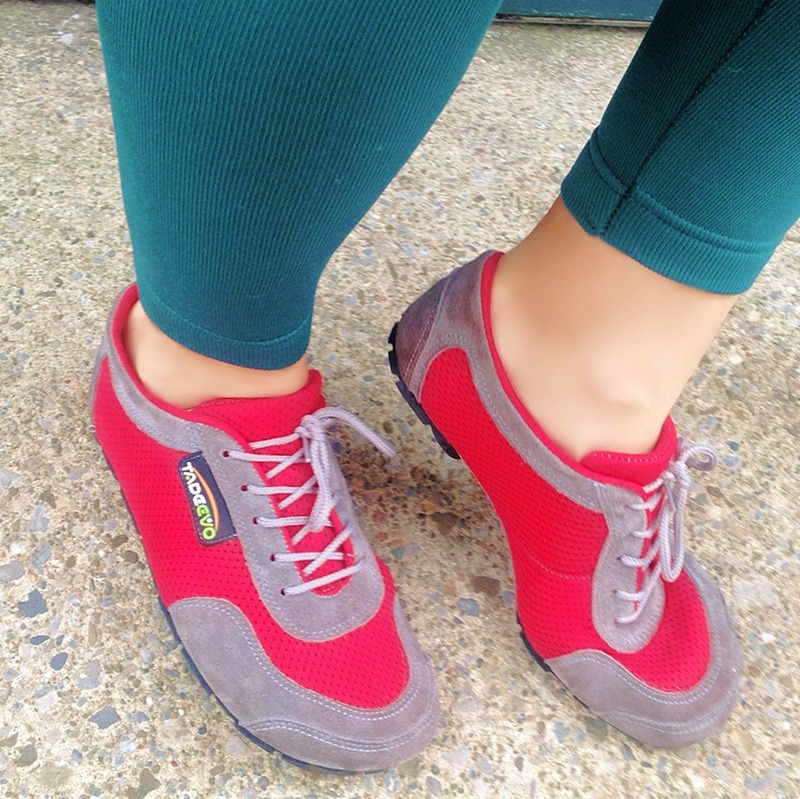 If you’ve enjoyed this review, you’ll love my other minimalist shoe reviews here! You can also catch me on my YouTube channel here, where I talk about the health and performance benefits of barefoot running and I showcase more minimalist running shoes best-suited for forefoot running! You can also make a donation in any amount to help fund the compelling and original content at Run Forefoot!